The ControlTrends Community recognized Nino DiCosmo for his successful leadership of Tridium and Niagara Framework, the leading open framework for innovation, used by businesses the world over. From commercial buildings to data centers to industrial operations to smart cities, Tridium’s pioneering products and services are changing the way machines communicate with each other — and with you. Congratulations Nino, once again. 2014 ControlTrends Executive of The Year Large Manufacturer from Eric Stromquist on Vimeo. Daikin Launches First IoT HVAC Equipment. Rebel RTU Rocks! Ken Smyers caught up with Paul Rauker, VP of Systems and Controls, Daikin Applied, on the ground floor of the 2015 AHR Show. Paul expertly reviews the features of Daikin’s latest Intelligent Equipment, the Rebel RTU — that is the first IoT HVAC RTU. Paul shows us what extraordinary innovation is possible when collaboration takes place between industry and technology leaders, Daikin and Intel. This is innovative disruption that may (will) change the way Building Automation Controls are deployed inside of buildings and serve as the precursor of pushing equipment data directly to the cloud. Check it out, and let us know your thoughts in comments. 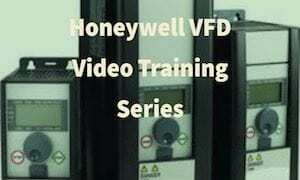 ControlTrends thanks this week’s ControlTalk NOW Platinum sponsor, Honeywell! Honeywell invents and manufactures technologies to address some of the world’s toughest challenges initiated by revolutionary macrotrends in science, technology and society. A Fortune 100 company, Honeywell creates solutions to improve the quality of life of people around the globe: generating clean, healthy energy – and using it more efficiently. 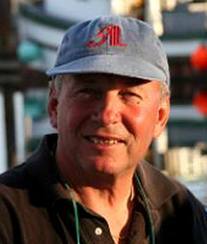 Ken Sinclair’s November Edition of Automated Buildings: The “I of Me” of IoT. Excerpt from Automated Building’s Ken Sinclair’s comments on IoT: “Your present IoT understanding, which I choose to whimsically call “The I of Me” greatly controls your comprehension and expectations of what those three letters might mean to you and those around you. The art, science, and social interaction of our time “The Internet of Things” (IoT), reflects life and is affecting all of our lives daily so get over it.” Another flurry of great articles in automatedbuildings.com’s November issue. ACI’s TSENSE — Combination CO2 Sensor with Temperature, RH, & Display. TSENSE is an advanced and versatile 3 in 1 transmitter. Designed for installation in the air conditioned zone, it measures CO2 concentration, temperature, and humidity in the ambient air. The data is transmitted to a BMS system or a stand-alone controller using industry-standard output signals and communication protocols, including BACnet. Visit ACI! Eric’s Teacher on Ted Talk. Marshall Thurber is a teacher that has had a profound impact on my life and business philosophy. 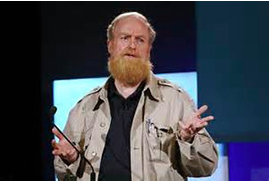 I had the good fortune to study and work with Marshall for many years.I quote him often on ControlTalk Now. 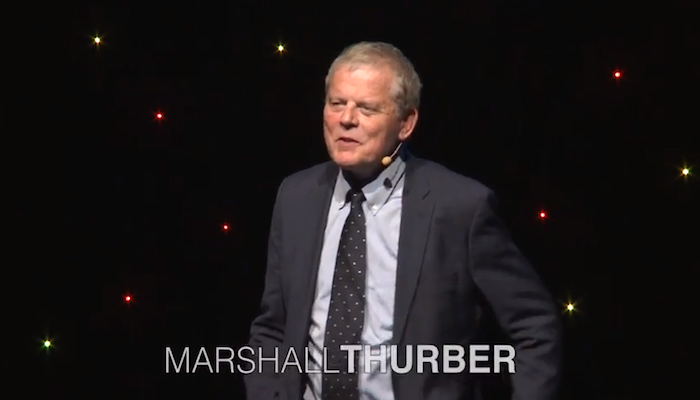 To get a feel for Marshall, check out this video Marshall doing a Ted Talk in Melbourne. 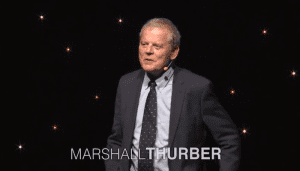 Marshall Thurber has been named the godfather of business and has been responsible for teaching some of the world’s greatest business minds including Tony Robbins, Robert Kiyosaki and Jack Canfield to name a few. 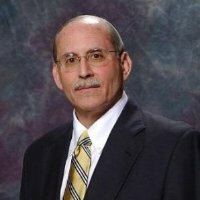 ControlTalk NOW’s first guest: Gary Weber, Distribution Sales Manager, North America, Belimo Air Controls, USA. Gary discusses the Belimo Platinum Distributor meeting in St. Kitts, The Energy Valve, the Belimo BAcnet communication feature, the business philosophies that have made Belimo so successful for so many years, and many more topics. Why the World Loves The Belimo Energy Valve. See why the Belimo Energy Valve is a finalist for the 2014 ControlTrends Energy Savings Solution/Product of the Year and the 2014 ControlTrends Awards Innovative Product of the Year. The Belimo Energy Valve was recognized and nominated by the world-wide ControlTrends Community. 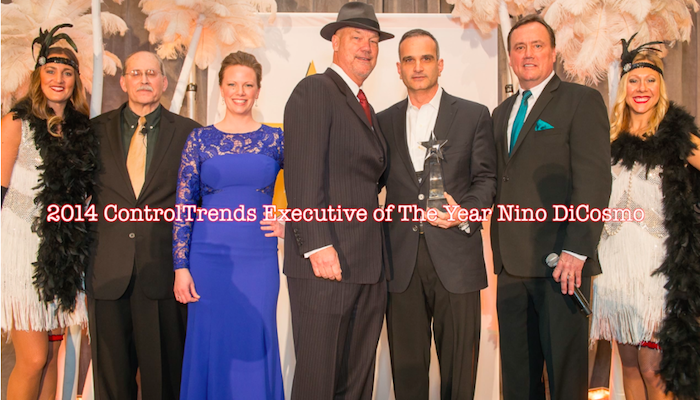 Good luck to Belimo and all the finalist for the 2104 ControlTrends Awards to be held January 26, 2015 in Chicago. Delta Controls – A Cradle of Innovation. At Delta Controls, Innovation is at the core of what we do. We take BACnet to heart, and have been committed to contributing to BACnet for the last 20 years. We invest in product development and R&D. With over 200 years of industry experience in our R&D department alone, we know that innovation requires having teams in the field and involving our customers in the development process. Innovation, quality, and customer satisfaction. SGIP’s Smart Grid Cybersecurity — Importance & Resource Guide. The Smart Grid Interoperability Panel (SGIP) mission is to accelerate the implementation of interoperable Smart Grid devices and systems. SGIP is a valuable source of information and guidance on all matters concerning the Smart Grid. One particularly resourceful tool is their SGIP’s Cybersecurity infographic an easy-to-use User’s Guide for NISTIR 7628 and Understanding How to Manage Smart Grid Cybersecurity Risk. ControlTrends People: Chris Eichmann from Johnson Controls. 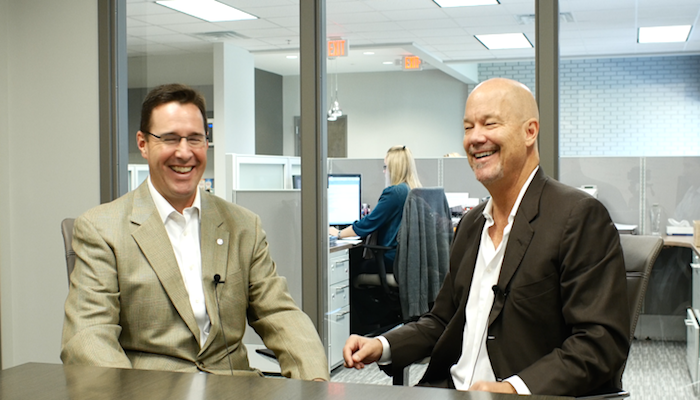 I had a chance to sit down and talk with the ever impressive Chris Eichmann from Johnson Controls. Find out what Chris had to say about how Johnson Controls is adding even more to their value proposition, a special Johnson Controls Event for 2015, and what makes the Johnson people and products such compelling choices for the 2014 ControlTrends Awards. Chris Eichmann, VP & General Manager, Controls & BAS Distribution, is a former recipient of the ControlTrends HVAC Controls Executive of The Year, and because of his outstanding leadership and commitment to excellence, is in the hunt for another trophy at this year’s awards. At Delta Controls, Innovation is at the core of what we do. We take BACnet to heart, and have been committed to contributing to BACnet for the last 20 years. We invest in product development and R&D. With over 200 years of industry experience in our R&D department alone, we know that innovation requires having teams in the field and involving our customers in the development process. Innovation, quality, and customer satisfaction. CoRE Tech 2014 – The Number One Program on Corporate Real Estate Innovation in the World! A message from Jim Young, Co-Founder and CEO CoRE Tech: There are many moving parts in managing the real estate assets of a corporation; hundreds of processes, a great amount of data and many analog tools. Because of this, innovation, technology and automation will continue to significantly impact how we use and operate corporate facilities. CoRE Tech 2014 will be at the epicenter of the Corporate Real Estate and Facility transformation. We have assembled the most innovative users of space, the ones taking the risks along with the solution providers at the forefront of these changes, all in one place. There is simply no other place, no other education program in the world, that focuses on transforming corporate real estate and facilities through the use of innovation, technology or automation. Welcome to ControlTalk Now: The Smart Building Podcast for the week ending September 7, 2014. This week’s CTN Podcast Platinum Sponsor is Lynxspring. Lynxspring is changing way devices and systems communicate and collaborate across enterprises. Lynxspring technologies, solutions, and services are enabling users to go further to manage and operate their facilities and equipment smarter, safer, securely, more efficiently, and at peak performance levels. Lynxspring has changed the way control systems are built, secured, and distributed. ControlTalk NOW Smart Building Tip of the Week: Turn Your Light Strategy On! If you don’t have one, get one! Lighting is the biggest slice of your utility bill — 39%, compared to HVAC 28%, and Office Equipment 15%, therefore takes precedence in your energy savings efforts. On the two SBT’s, were the Open System Platform, like Niagara AX, and the enlightened and dogged pursuit of every rebate, tax incentive, and grant money available — at the federal, state, and local (utility) levels. Now, implement your light strategy. Some of the excellent sources of products and solutions when making your lighting choices are: WattStopper Digital Lighting Management, Honeywell Lighting Stryker, Logica Lighting, Blue Ridge Technologies, Control Network Solution, elitedali™, and Daintree. 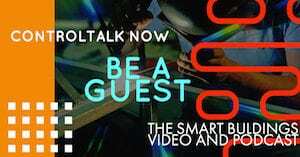 ControlTalk NOW’s Special Guest: Marc Petock, VP Marketing, Lynxspring. Marc shares his venerable industry insight regarding the shift from technology, which drove open standards and open systems, to business, which is the drivers that our industry. Marc also states that responsibility for IT and Cyber Security falls everyone’s shoulders: technology providers, distributors, system integrators, and end-users. Visit Lynxspring’s Resource Center and On-line Forum for more information. Honeywell’s Expanded Valve & Actuator Configurator & Fast Track Project Management Tool: Honeywell has expanded its factory configuration capability to include threaded globe valve assemblies with electric actuators and Q5020 linkages. The new assembly part numbers are built based on the specifications of the valve, actuator and linkage in the assembly. This enables you to “mix and match” valve/actuator combinations without having to create a lot of new part numbers. Select a valve, actuator, linkage and fail safe/ accessories, then combine them to build an assembly number. 2014 American Energy & Manufacturing Competitiveness (AEMC) Summit – Register Now! The 2014 American Energy & Manufacturing Competitiveness Summit (AEMC) is a gathering of preeminent leaders from industry, academia, labor, the national laboratories, government and media to: Discuss the most critical energy and manufacturing challenges and opportunities affecting U.S. prosperity, sustainability, and security; Accelerate a movement to increase U.S. competitiveness in the production of clean energy products and increase U.S. manufacturing competitiveness across the board through greater energy productivity. 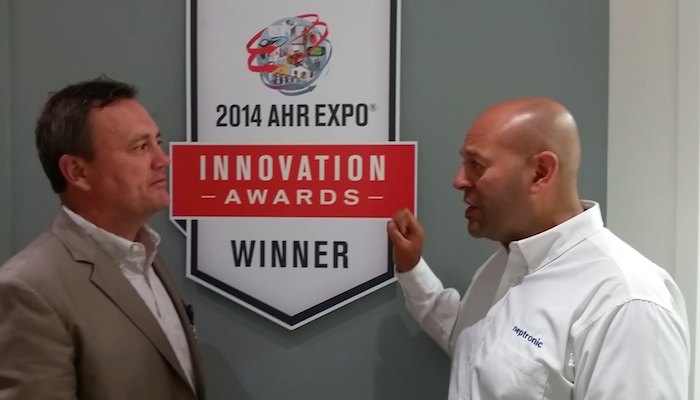 Neptronic: The Power of Innovation — Innovation that Changed the HVAC Industry. ControlTrends traveled past the Niagara Falls on its way to Montreal to capture the Power of Innovation at Neptronic. The force of the Niagara Falls represents well the swift and powerful current of innovation coursing through Neptronic, where several of the HVAC industry’s most significant innovations and products originated. Neptronic is a rapidly growing provider of building automation products & solutions. CNS’ Mike Welch Sheds Some DALI Light on “How to Avoid Stranded Investments in Intelligent Buildings” ControlTrends is delighted to share this informative expertise from Mike Welch, Managing Director of Control Network Solutions, founded in 1996, and headquartered in Basingstoke, Hampshire, UK (approximately 45 minutes from London). Mike is a DALI™ (Digital Addressable Lighting Interface) lighting control specialist and makes a compelling case as to why it makes commercial sense to adopt a more flexible, open approach to the control and management of lighting systems today. 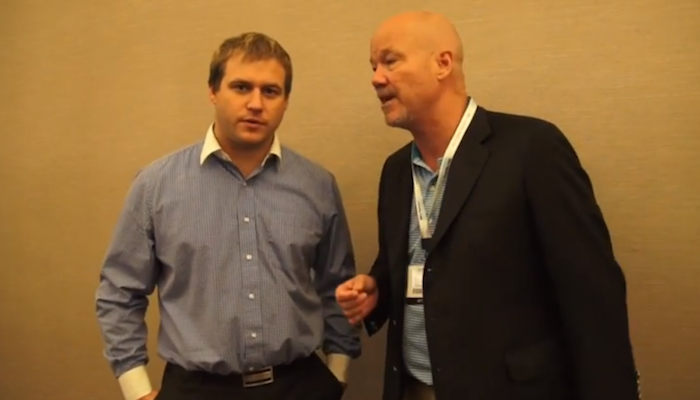 Young Gun Chris Schneider Shakes it up with Open BMCS: We got a chance to catch up with the innovative Chris Schneider at the 2014 Niagara Summit. Chris’ system, OPEN BMCS, is a one-size-fits-all building management and control system, that is ideal for small commercial or residential projects to large campus wide installations, his solution can be scaled to suit multiple needs. ControlTrends traveled past the Niagara Falls on its way to Montreal to capture the Power of Innovation at Neptronic. The force of the Niagara Falls represents well the swift and powerful current of innovation coursing through Neptronic, where several of the HVAC industry’s most significant innovations and products originated. In this first segment of ControlTrends coverage, Luis Melgares, Regional Sales Manager, offers some amazing history and insights into Neptronic, a rapidly growing provider of building automation products and solutions. 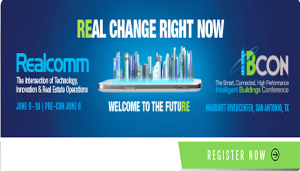 Niagara Summit 2014 Powered by Possibilities April 27–29, 2014, at the Cosmopolitan of Las Vegas. The world of business doesn’t just benefit from innovation – it demands it. To meet that demand, we work tirelessly, pushing the Niagara Framework to the forefront of technology. This April 27-29, visit Las Vegas for Niagara Summit 2014 and see how innovation and technology are transforming the possibilities of the Niagara platform. 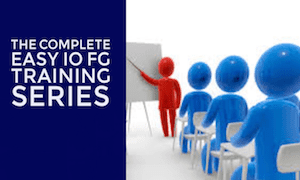 • Gain insight into the technology trends that are shaping our industry, and find out how to leverage them in order to grow your business. • Learn why open systems are making cities smarter, how big data can integrate with new technologies, and what the emergence of the Internet of Things means for Niagara users. • Collaborate and network with a united community of peers and industry experts. You’ll also be eligible to enter the New Product Showcase and Innovator Awards, showcasing the best new products based on or interacting with the Niagara Framework. Please download the New Product entry form here and the Innovator of the Year entry form here. Submissions are due by April 14th.